Temples of Madhya Pradesh is the first travel guide that brings together the significant temples and religious sites in the state, weaving them into five separate circuits for ease of travel. Madhya Pradesh is blessed with a profusion of religious archietecture –ancient and modern –with wondrous legends associated with each of them. 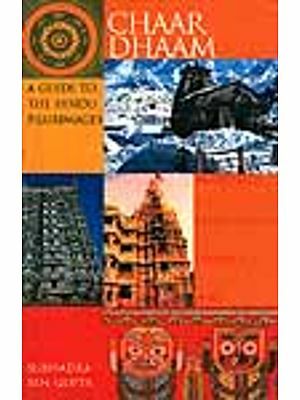 In this book we have made an attempt to select some of the major temples and religious sites, including the temples of Khajuraho; the ancient shrines at Morena, Gwalior and Jabalpur ; the architectural gems around Bhopal and the holy sites of Ujjain, Omkareshwar, Maheshwar, Chitrakoot and Amarkantak. These are discussed for their religious, historical as well as architectural significance. The temples in this book do not follow a historical or chronological sequence. Instead, they have been grouped together in a manner that would be most convenient for the traveller to plan his visit – with Bhopal, Khajuraho, Gwalior, Indore and Jabalpur as the gateways. With over 140 stunning photographs and an up –to –date practical information section, the Temples of Madhya Pradesh will be an invaluable companion for the pilgrim as well as the curious travellor. In a land where the legacy of gods and goddess is sought and discovered at every turn, it is little wonder that sages and pilgrim have blended into the landscape as harmoniously as forests and river, Narmada, to Ujjain, on the banks of the Shiprs, where Ganga herself came to bathe, Madhya Pradesh perhaps presupposes as much a spiritual as a geographical, state. While the phenomenon of worship has bee traced to the down of mankind itself, evidence of religious art, in central India has tentatively been dated to the Mesolithic age in the rock shelters of Bhimbetka, near Bhopal. Forms akin to Ganesh and Pashupati, a 'proto-Shiva' figure, noted in these early strokes of art, reveal a primordial desire to express faith, a desire which would later be manifest in the construction of temples gives an insight into the evolution of that very faith. In Madhya Pradesh, one of the earliest extant temple is Temple 17 on the Main Terrace of the Great Stupa at Sanchi, with architecture and symmetry distinctive of the Gupta period. Indeed, the temple as an institution may be said to have evoled around this period when the sacrifice –centric. Vedic religion gave way to a more personalized form of worship, the puja. Simultaneously, the objects of early worship, which for centuries had largely consisted of natural forces and phenomena, gradually came to take on anthromorphic forms. Though the modest devagrihas, mud structure housing gods, usually built beside holy rivers and sacred groves, are no longer extant the ravages of time have not laid claim to the indefigable faith of devotees in ancient temple towns like Amarkantak, Chitrakoot, Ujjain and Omkareshwar. In Ujjain, one of the saptapuris or holy towns said to grant Moksha (salvation) to pilgrims, legends jostle with myths and clash with histories. It is said that when the gods and demons churned the oceans in search of the nector of immortality, and the coveted vessel was finally found, a wild scramble took place across the heavens. In this general frenzy, a few drops of the precious liquid were spilled, and one fell here. In northen India in the 10th centuary, mighty kings engaged in more earthly battles, set up grand monuments of worships even as they conquered territories. The Rajput tribe of the Chandellas, especially, would leave a lasting legacy in stone, a paean to love, that perhaps reflects a cultural upheaval on a scale unparalleled in contemporary society. The temples at Khajuraho, built by these far –sighted rulers between 900-1130 AD, not only took the north Indian nagra shikhra style of archeitecture to new heights, but depicted the pagent of life and its pleasure like few other works of art. The Parameters, meanwhile, beginning their rule in western Malwa in the mid -10th century AD, had gradually come to conquer the entire region, they built numerous temples, in the characterstic bhumija style, yet reflecting the distinct vision and skill of exemplary rulers and craftsmen.